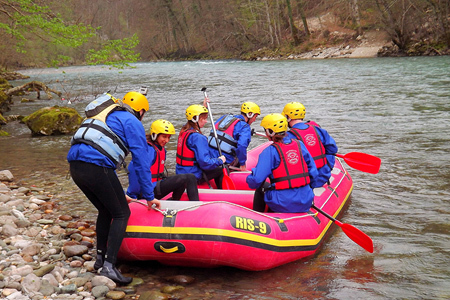 RAFTING CENTER DRINA TARA PAYS SPECIAL ATTENTION TO THE SAFETY AND COMFORT OF OUR GUESTS. ​WHAT MAKES US SPECIAL IN THIS SEGMENT IS THE BEST TEAM OF INSTRUCTORS, THE BEST GUIDES FOR CANYONING AND TOURS IN THE MOUNTAIN. 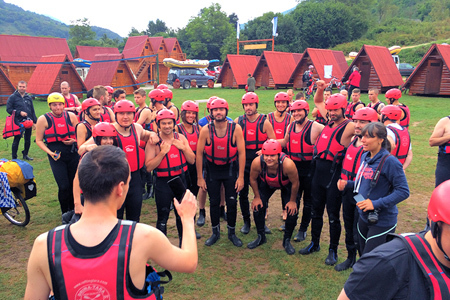 Each guest receives complete top rafting equipment in line with EU standards for quality materials. High quality jackets for safety, neoprene suits, neoprene boots and anoraks make your rafting or canyoning as secure and comfortable as possible. 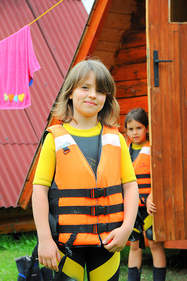 All equipment for rafting on the Tara River is included in the price. 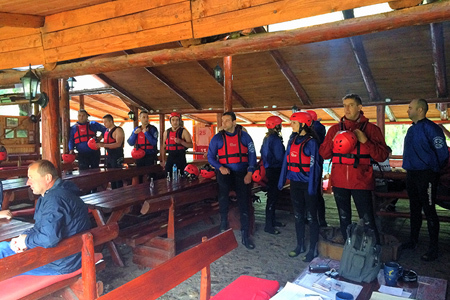 During the rafting, instructors licensed by the Ministry of Serbian Republic and IDF - World Rafting Federation, care for the safety of our guests. ​Our professional licensed guides will also take care of you during canyoning or hiking. Our mountain guides, jeep safari, hiking and climbing are hunters, fishermen and nature-lovers who have been brought up in this area and know it well, so you can feel in safe hands.